Trump blasts retired Navy SEAL suggesting he should have caught Bin Laden earlier and calling him a "Hillary Clinton fan"! - ViralDoozy Your source for Celebrity gossip, latest Entertainment news and Viral stories. Home Politics Trump blasts retired Navy SEAL suggesting he should have caught Bin Laden earlier and calling him a "Hillary Clinton fan"! Trump blasts retired Navy SEAL suggesting he should have caught Bin Laden earlier and calling him a "Hillary Clinton fan"! President Donald Trump made a mockery of retired Admiral Bill McRaven - the Navy SEAL who led the 2011 raid that killed Osama bin Laden - by describing him as a "Hillary Clinton fan" in an exclusive interview with Chris Wallace on "Fox News Sunday".He also stated that bin Laden should have been caught many years earlier, but he did not explain how the Obama administration should have done so. The president Trump made these comments after Wallace questioned him regarding McRaven's criticism of Trump's press attacks. 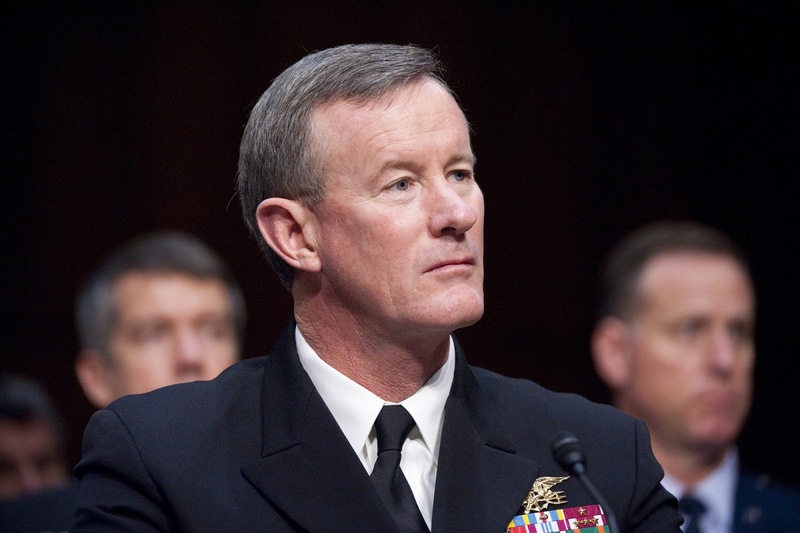 Last year, McRaven, who did not endorse the 2016 presidential election, described Trump's attitude in a speech at the University of Texas as "the greatest threat to democracy in my life".A four-star admiral who retired from the navy back in 2014, Mr. McRaven on August also wrote an opinion piece asking Mr. Trump to revoke his security clearance after the president retired John Brennan, former director of the CIA. "Hillary Clinton fan" said Trump to Wallace Sunday when faced with criticism from the retired admiral. "Excuse me, Hillary Clinton fan." "He is a supporter of Hillary Clinton and Obama," Trump pointed out before Wallace said McRaven was a Navy SEAL for nearly four decades. Pointing to Bin Laden's raid, Trump added: "It wouldn't have been good if we'd got Osama Bin Laden much earlier than that. Wouldn't that have been great?" "Living in Pakistan, beautifully in Pakistan, in what I imagine they considered to be a very nice mansion, I don't know, I've seen much better ones," he continues. "But living in Pakistan in the same place as the military academy, everyone in Pakistan had known that he was there. And for years we give Pakistan $1.3 billion a year and they don't tell it, they don't tell it... over years." Wallace asked if Trump would give the McRaven team credit for "bringing down Bin Laden". "They took him down but - but look, look, look, all the news is out there, in Pakistan, he lived there, so we support Pakistan, on a yearly basis we give them $1.3 billion, which we don't give them anymore, by the way, because they don't do anything for us, they do nothing at all for us", said Trump. Mr. McRaven replied on Sunday by stating to CNN that he was neither supporting Mrs. Clinton nor anyone else in the 2016 election. He pointed out that partisanship played no role whatsoever in his professional career. "He told CNN: " All I know is that I am a fan of President George W. Bush and President Obama, with whom I have worked". "I have great admiration for all presidents, no matter what political party they belong to, who defend the dignity of their office and use it to bring the nation together in these difficult times." In addition, the former Navy SEAL said he was sticking to his comment that Trump's attacks on the press were "the greatest threat to our democracy in my entire life". "When you violate the people's right to freedom of the press and freedom of speech and expression, you are threatening the Constitution and everything it stands for," he said. Shortly after publicly reprimanding the president in the August editorial, McRaven, who headed the U.S. Special Operations Command from 2011 to 2014, resigned from the Pentagon's Technology Advisory Council.